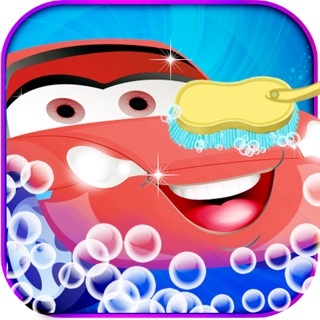 If you love cars then you will just love the Super Car Wash game! 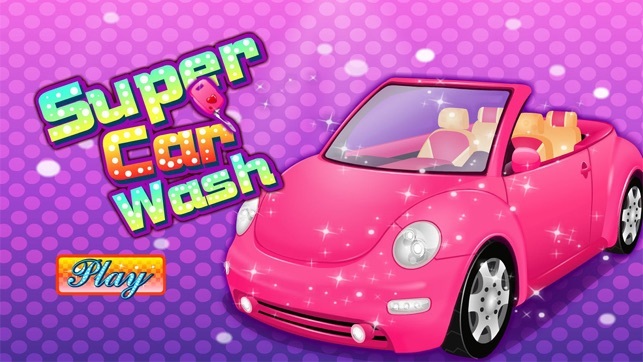 Now you can really know what it’s like to own a car by giving it a good car wash and makeover! 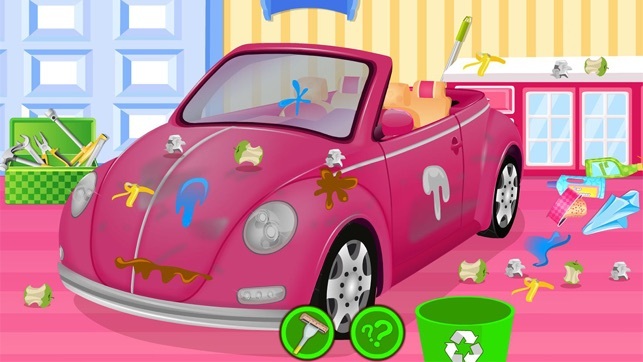 Here you will be able to choose your design of pink car, scrub the dirt and sticky residue from the exterior, and place the rubbish in the bin before arranging your cleaning products on the shelves behind your car. Once you have cleaned your car you can then wash, rinse, and dry your car ready for its grand makeover! 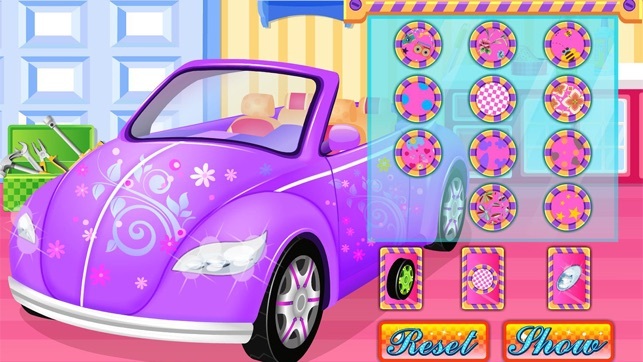 Here you can then polish your car, jack it up and change the front tire, and replace the engine before accessorizing and completing your look with fabulous wheel designs, lights, and exterior patterns. 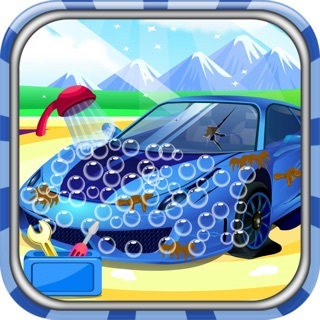 So why not see what it’s like to own your very own car with the super car wash makeover game today! 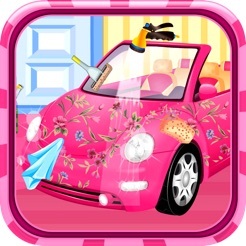 • CHOOSE your very own pink car ready for its wash and makeover! • PLACE the rubbish in the bin and scrub the sticky mess off your car! 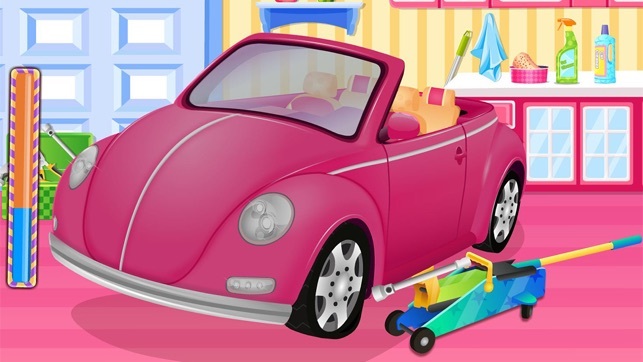 • ARRANGE your cleaning materials up onto the shelf behind your vehicle for a tidy look! • WASH and rinse your car off to remove any dirt and dust so it is nice and shiny! • DRY your car off before jacking it up and replacing the flat tire ready for driving! • POLISH the exterior of your car to give it a nice and new shiny look and appearance! • REPLACE the engine under the hood before changing your cars color to make it suit your personal taste! • ACCESSORIZE with its lights, wheel design, and exterior patterns to make it unique to its owner! 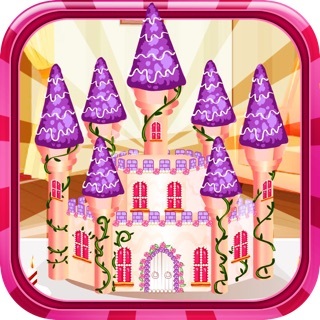 This is the worst app ever never ever ever get it. I hate it more than anything in the world!!!!!! Like I said before Uhhhhhhhh!!!!!!!!!! !